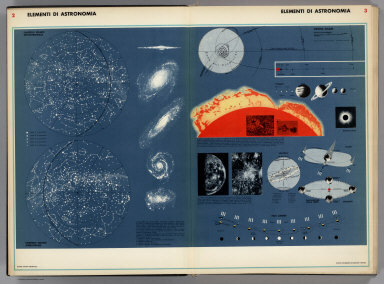 Aspects of stars, lunar phases, solar systems, solar flares, and planets, etc. shown. No title page; this may be a proof copy or intended to accompany an encyclopedia or text. Instituto di Agostini is known for the beautiful maps and atlases it produced. Full color.